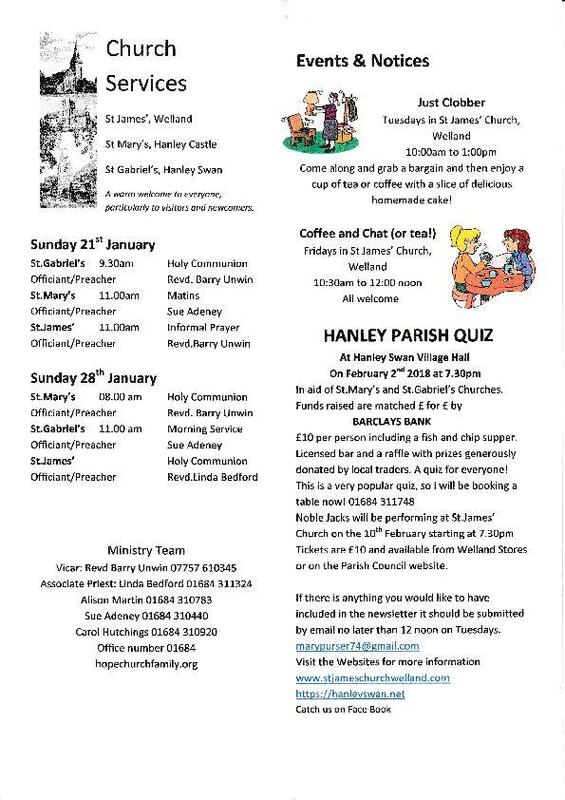 The Church Service at St.Gabriels on 28th January is at 9.30am and NOT as printed 11am. This entry was written by Admin, posted on Jan 19, 2018 at 8:00 am, filed under C of E Newsletters, Church of England. Bookmark the permalink. Follow any comments here with the RSS feed for this post. Trackbacks are closed, but you can post a comment.